Nongprue is embarking a new campaign to document and register disabled people living in the sub-district and ensure they have access to Thailand’s universal healthcare program. 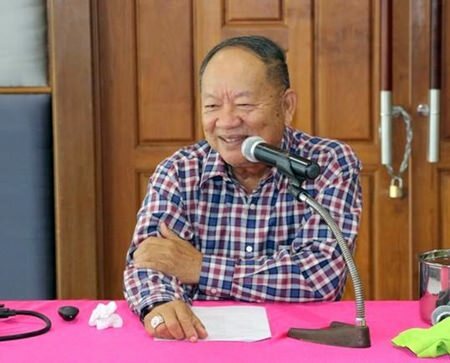 Nongprue Mayor Mai Chaiyanit met with about 30 government manager, civil servants and volunteers Feb. 12 to review objectives of the initiative. Pattama Chancheiw, director of the Social Welfare Division, discussed government assistance available to the disabled and roles of volunteers in the campaign under the Local Health Fund. Workers and volunteers will survey and collect information on the disabled by the end of February and create the database of the residents in community. They also will provide help in applying for a Universal Health Care Coverage card, coordinate to distribute welfare benefits such as consumer products and orthopedics, and document any domestic problems faced by disabled residents. To contact the sub-district to register a disabled resident, contact the Social Welfare Division at 038-933-119.